Taking the time to do something well pays off in Metal gem dividends. 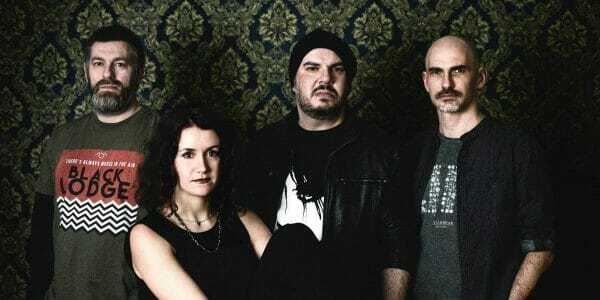 CROWN OF AUTUMNS 2019’s album ‘Byzantine Horizons‘ unleashes rich tapestries of melodic Death. A genre busting collection of Metal glory that deserves respect. This Italian band has been around for over twenty years, yet, ‘Byzantine‘ is only their third full-length. Incorporating both clean and harsh male vocals along with female leads offers a variety mostly absent from Death Metal. While borrowing tone from Gothic, Power, and Folk lets the 11 tracks breathe and rise through a diverse range of metallic resonance. Crown of Autumn, return with a vengeance. Charging out the gate with the peppy crush of “A Mosaic Within” before diving into the stellar slow burn anthem “Dhul-Qarnayn“. While “Cyclopean” adds Prog intricacy and “Lo sposo dell’orizzonte” proffers calming Romanesque Folk. The ballad “Walls of Stone, Tapestries of Light” is the ideal Power showcase for vocalists Gianluigi Girardi and Milena Saracino. And Mattia Stancioiu’s potent drums dominate through whiplash shifts and blasts. Still, this is founder Emanuele Rastelli’s show–providing all the guitars, bass, keyboards, and screams, as well as recording, mixing, and mastering everything to a polished sheen. Gothic demons takeover the “Whores for Eleusis” before closing on the reflective Gregorian chants of “Our Withering Will“. Not every hook sticks and the uneven potpourri of polarizing styles occasionally clouds the many wondrous melodies. Yet, it all evokes quality and a steadfast commitment. Clearly, this is why it’s taken 8 years to present this album–artistry demands time. I’ve finally found a 2019 Metal release worthy my playlist. 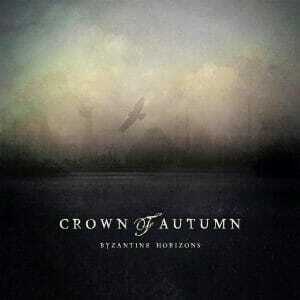 CROWN OF AUTUMN’s ‘Byzantine Horizons‘ is an often breathtaking sonic adventure you should seek out. Breathtaking, divergent melodies that swim between multiple Metal genres while providing abundant heft and layered, precise musicianship.